Being an innovator starts with investment. Black upStart provides the resources necessary to ensure that African-Americans start and succeed in a profitable business venture. 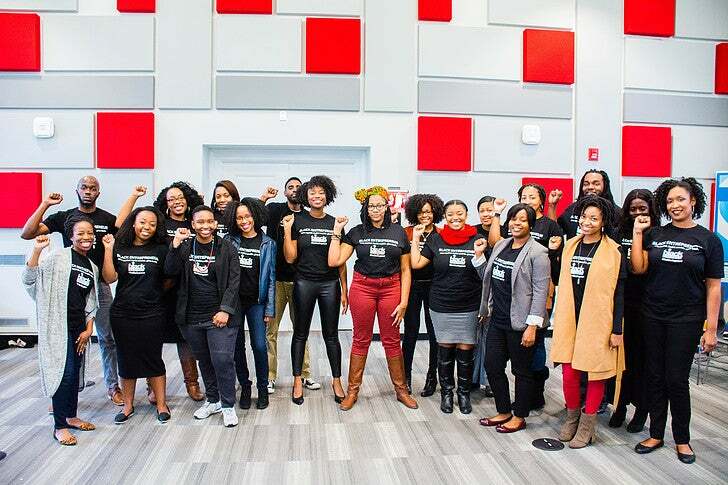 Founder Kezia M. Williams shares how the Black upStart is changing the game of entrepreneurship. The process of being a successful entrepreneur is working at your craft tirelessly until the growth in your venture shines through. “When I talk to the woman with six-figure aptitude working an entry-level job because the old boy’s network does not offer equal opportunities to talented brown girls; when I witness nearly 2,000 Black coeds apply to an entrepreneurship program; when I meet a Black man who seeks dignity by putting action behind a profitable idea, I am reminded that freedom is not just nominal in nature,” Williams said. “My goal is to create a village that incubates innovators equipped to start, grow and scale successful and profitable businesses,” Williams said Be a risk taker, be open-minded, fail forward, and respect the journey. Williams dropped us gems on everything you will gain from The Bootcamp. “We intentionally foster a collaborative space where trust is encouraged through communal sharing. We teach students how to generate a potentially profitable idea. We validate that idea through creating a minimum viable product and testing it on the market,” Williams said. Williams describes The Bootcamp as a “village,” providing feedback to students from professionals in their network. This “village” is one that offers support during the Bootcamp, but grants you with even better familial connections after you leave. No matter if you’re starting from the bottom or are well into your business, it’s important to have humility and always strive for better. “Many of us are taught that success looks like this: graduate from high school, earn a college degree, get a job and move out of the hood,” Williams said. For more information on the Black upStart and its groundbreaking Bootcamp, visit their website. Also, be sure to follow at @theblackupstart and @keziamw for daily inspiration and updates! Logan Nelson (@logantylerr) is a Communication major at the University of Maryland, working hard as a writer and advocate for social change.